There are few musical styles that have such an extremely conservative image as blues. Blues is supposed only for old men with long beards, who always repeat the same twelve bars while smoking and drinking. Besides guitar, piano and blues harp all other instruments seem to be "prohibited". Musically, it always revolves around itself for generations, like a hamster wheel. Of course, there were and there are blues artists who try something new, but outside of the blues scene no one cares. Until 1995, the French House producer St. Germain is the first, who ventures to merge Blues with House with the title "Thank you Mum". From then on the world knows, that it is possible to combine blues with electronic music. For in the U.S., there aren't the downbeat producers who have discovered the blues for themselves as a "quarry", but rather the House & Techno Group. There are house-icons like Glenn Underground, Miguel Migs, Franck, Adam, King Britt, Dirty Harry or Kenny Larkin aka Dark Comedy, who work specifically with blues samples. But in the last 2-3 years again increased the European Techno & House mixers, who set the major trends showing amazing numbers of downloads. Highlights are Jon Flores from Spain, Harold Heath from England and from Italy Submantra. And there is one House producer from Bologna, who concentrates fully on the combination of House and blues, Cesare Ferioli aka Big Mojo, now one of the most influential figures in this field. This Italian DJ is celebrated not only on blues festivals, but also on all the hottest Raves in the Mediterranean. 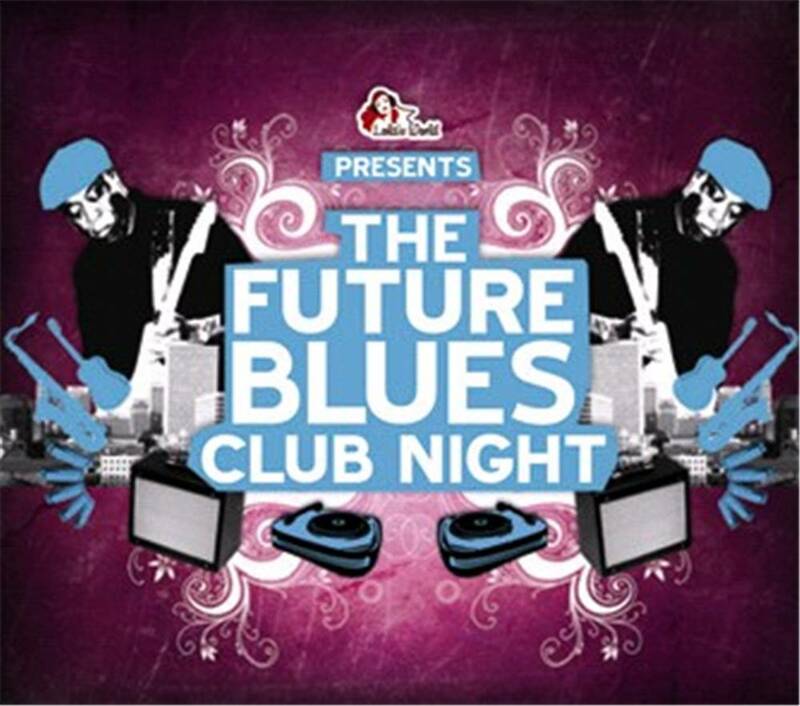 This excellent double sampler "Future Blues Club Nightâ€ is compiled by DJ ralph "von" richthoven, the Global-Electronica specialist from Bremen, Germany. For years he composes with high competence the popular "Club Night" series for the Global Beat label LOLA'S WORLD RECORDS.